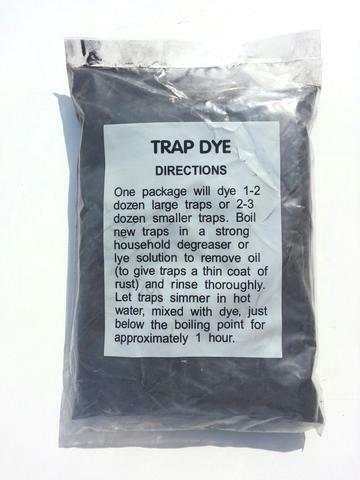 Black Powder Trap Dye turns traps a dark blue-black. Each 10 gallons of water requires approximately 1 bag of dye. Directions for use are written on the bag. Packaged in 1 lb. bags.